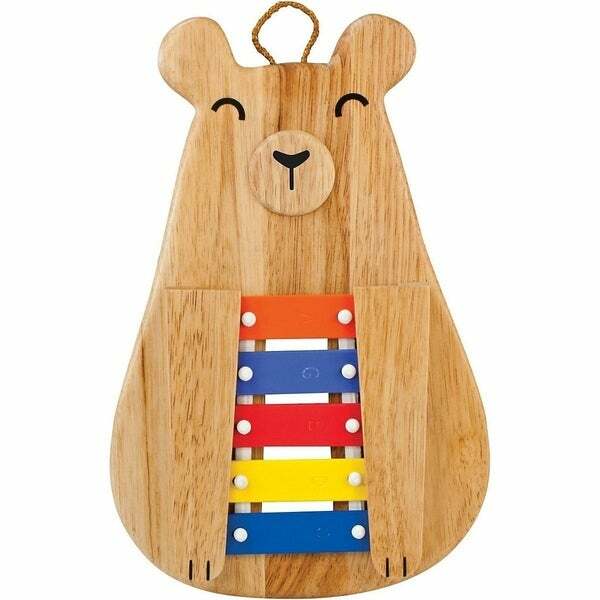 This 13" Rubberwood bear design features a resonator chamber which enhances bar sustain. Everyone loves the bell like chimes of the glockenspiel. The attractive open window box also includes a wood mallet. Scientific studies show that music is not only fun but beneficial for critical cognitive development in children. At Green Tones we are passionate about providing a musical foundation with a focus on incorporating the highest quality eco-friendly woods that are sustainably produced, beautiful to see and feel and safe for your child. From sustainable products to sustainable packaging to giving 1% of our profits to groups caring for the environment, we are committed to doing the right thing for you, your child and the planet our children will inherit. Green Tones is owned by Hohner, Inc., the professional musical instrument company established in 1857. As part of a company with such a long-standing tradition of musical excellence, Green Tones maintains the Hohner heritage of encouraging active music making through the use of engaging, safe, high-quality child-centered instruments.